A Bay Area summer classic, the annual Alameda County Fair takes place at Fairgrounds in Pleasanton. 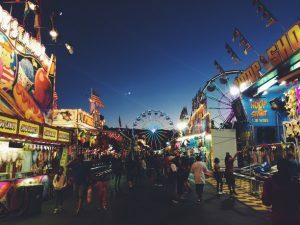 Though prices are sometimes a bit steep with $12 admission, the petting zoo, range of carnival games, fried delicacies, classic fairground rides, and cute photo ops provides endless fun with family and friends. 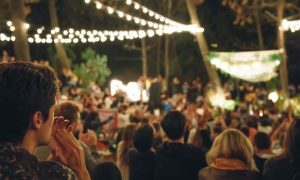 From classical music and rock and roll to the San Francisco Ballet, the 80th annual free summer concerts at Stern Grove capture the ambiance of San Francisco’s eclectic taste in music. 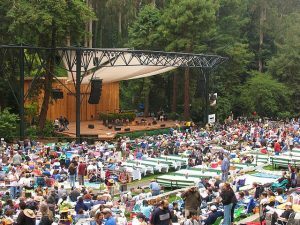 Surrounded by tall trees that provide a respite from the heat, the picturesque outdoor amphitheater, Stern Grove, is the perfect location for a picnic and a day of good music and relaxation this summer. 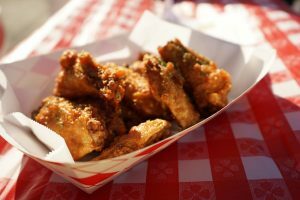 One of the most accessible activities on this list, Fremont Street Eats has a consistent schedule and a central location to guarantee an entire summer packed with some of the most unique, affordable food options around, including fusion, mexican, korean and american style street food. The seventh annual Fremont Street Eats promises a delicious array of gourmet food trucks and live music, perfect for a fun date night or just a casual hangout with friends. Located in Newark, the Bay Area Night Market celebrates the cultural diversity of the Bay Area by including a global variety of food and a multifarious group of artists and craftsmen, with over 30 vendors in both open-air and indoor markets. Live bands and interactive play space add a upbeat ambiance to the bustling night market. Feel like enjoying some plays and cultural arts this summer? This year, the San Francisco Shakespeare Festival will present the infamous Shakespeare play “Hamlet” for free. This rare opportunity allows everyone to enjoy easily accessible Hamlet performances performed by a professional cast and director. 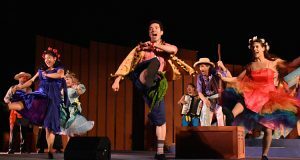 The play is available in numerous outdoor venues, such as Pleasanton’s Amador Valley Community Park and Cupertino’s Memorial Park Amphitheater, which is approximately 30 minutes away. Play with your friends and family on one of the West Coast’s largest indoor Puttputt courses! The Pier 70 puttputt is a 60,000 sq. feet course located on the historic Pier 70 site in the Dogpatch neighborhood of San Francisco. You can enjoy this unique and entertaining sport in Pier 70’s custom designed course and challenge your friends to all 18 different indoor holes. Yes, you heard us right, there is a dog show in Fremont. Once again the Pooch Pow-Wow Committee and the Niles Main Street Association present this unique canine contest. Highlights of the show include Doggie Paddling Pools, frisbee demonstration, and rescue adoption.There are a variety of special contests, such as best dog/person look alike, best costumes, and handsomest males. 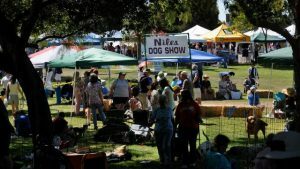 If you are interested in lighthearted activity and dogs, the Niles dog show is a perfect occasion.